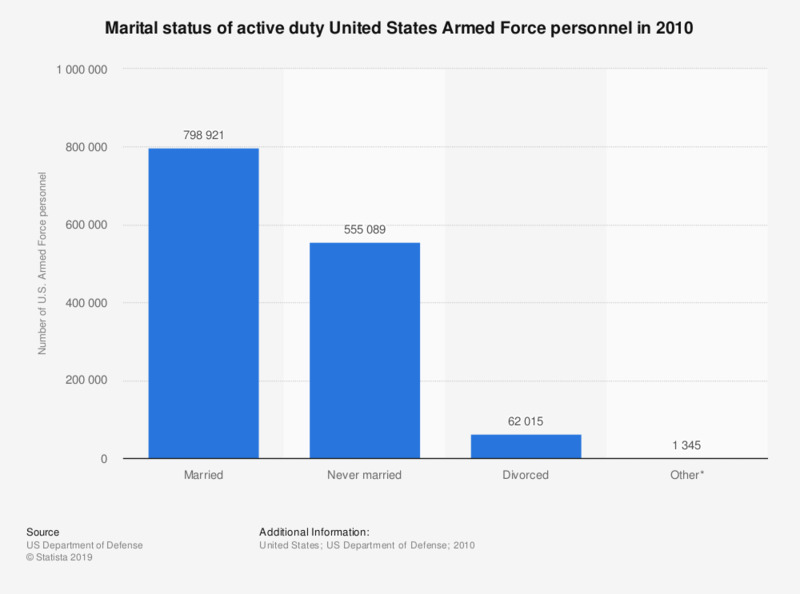 This statistic shows the marital status of active duty United States Armed Force personnel in 2010. In 2010, there were 798,921 U.S. Armed Force personnel who were married and 62,015 who were divorced. * Other includes widowed, annulled and other unkown cases.